Review: I did a buddy read with my 3rd grade daughter and she loved this book. I wish I could say the same but I found it grating on almost every level. 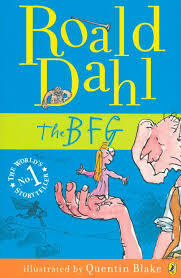 The BFG's language was annoying, the BFG himself was creepy and the book was boring. Not my favorite children's book.